IRIDIUM SILVER METALLIC, BLACK, LEATHER SEAT UPHOLSTERY, LANE TRACKING PKG, PREMIUM I PKG, BURL WALNUT WOOD TRIM *Note - For third party subscriptions or services, please contact the dealer for more information. * When you purchase a vehicle with the CARFAX Buyback Guarantee, you're getting what you paid for. Today's luxury vehicle is not just about opulence. It's about a perfect balance of performance, comfort and attention to detail. This 2012 Mercedes-Benz CLS-Class is the perfect example of the modern luxury. This Mercedes-Benz CLS-Class CLS 550 comes equipped with all wheel drive, which means no limitations as to how or where you can drive. Different terrains and varying weather conditions will have little effect as to how this vehicle performs. One of the best things about this Mercedes-Benz CLS-Class is that it has low, low mileage. It's ready for you to truly break it in. Marked by excellent quality and features with unmistakable refined leather interior that added value and class to the Mercedes-Benz CLS-Class Drive any city's streets like you've lived there all your life using the navigation system on this Mercedes-Benz CLS-Class. More information about the 2012 Mercedes-Benz CLS-Class: Mercedes-Benz calls the CLS-Class a coupe, but it's actually a 4-door sedan that's considerably more curvaceous than most sedans. It's also part of a growing group of models that are curvier than traditional luxury sedans--including the Audi A7 and Porsche Panamera. But while both of those other models come with hatches, the CLS-Class has a trunk. For many shoppers, the relative rarity of the CLS-Class is a selling point; it looks like no other car out there. Performance is another reason to pick the CLS-Class; with new twin-turbo V8s, it performs even better than before with better gas mileage. And there are also a number of tech firsts in the CLS-Class, including the world's first LED headlights. 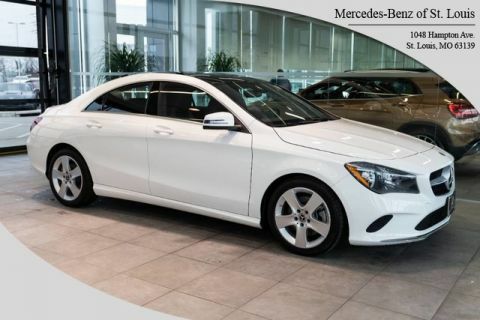 This model sets itself apart with class-leading tech and safety features, a sports coupe look in a 4-door package, superb cabin materials, high-speed poise, and Strong turbo V8 engines On-Line Sales Price may not include Mercedes Benz Certified Pre-Owned Warranty *CALL TO VERIFY PRICING AND WARRANTY INFORMATION. 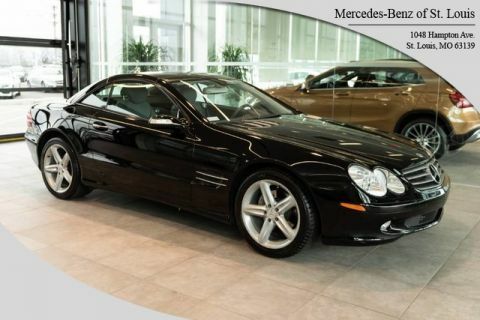 Thank you for visiting another one of Mercedes Benz of St Louis's online listings! Please continue for more information on this 2012 Mercedes-Benz CLS-Class CLS 550 with 79,416mi. Is it possible to fall in love with a vehicle? It is when your vehicle is as prestige as the Mercedes-Benz CLS-Class. Enjoy driving? Well now you will get more thrills behind the wheel thanks to the heightened performance of AWD. Better handling. Better traction. Better driving experience. This low mileage Mercedes-Benz CLS-Class has barely been touched. It's the next best thing to buying new. More information about the 2012 Mercedes-Benz CLS-Class: Mercedes-Benz calls the CLS-Class a coupe, but it's actually a 4-door sedan that's considerably more curvaceous than most sedans. It's also part of a growing group of models that are curvier than traditional luxury sedans--including the Audi A7 and Porsche Panamera. But while both of those other models come with hatches, the CLS-Class has a trunk. For many shoppers, the relative rarity of the CLS-Class is a selling point; it looks like no other car out there. Performance is another reason to pick the CLS-Class; with new twin-turbo V8s, it performs even better than before with better gas mileage. And there are also a number of tech firsts in the CLS-Class, including the world's first LED headlights. 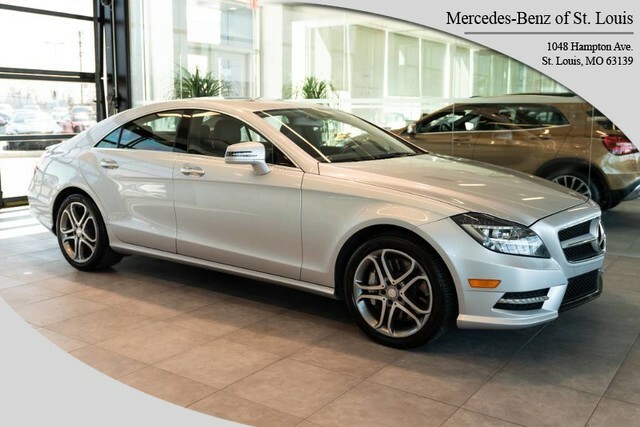 This model sets itself apart with class-leading tech and safety features, a sports coupe look in a 4-door package, superb cabin materials, high-speed poise, and Strong turbo V8 engines On-Line Sales Price may not include Mercedes Benz Certified Pre-Owned Warranty *CALL TO VERIFY PRICING AND WARRANTY INFORMATION.